One of the challenges I have is the size of connectors in front of the modules. 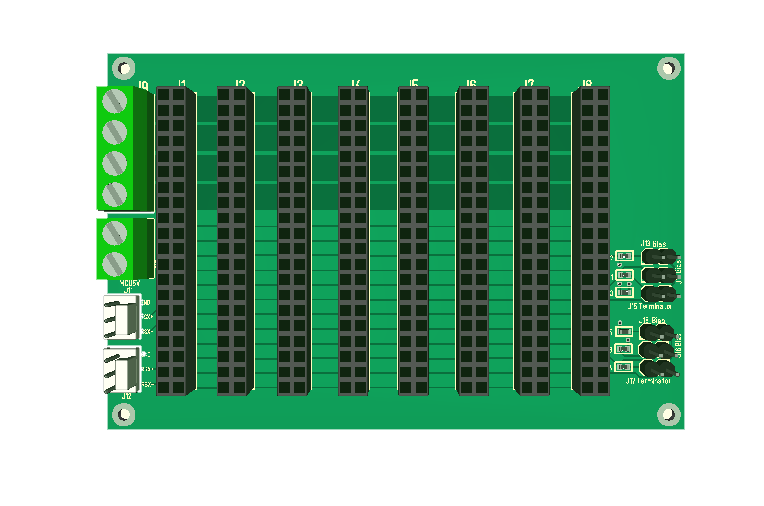 I am actually considering using Top and Bottom on the modules to increase connector space. 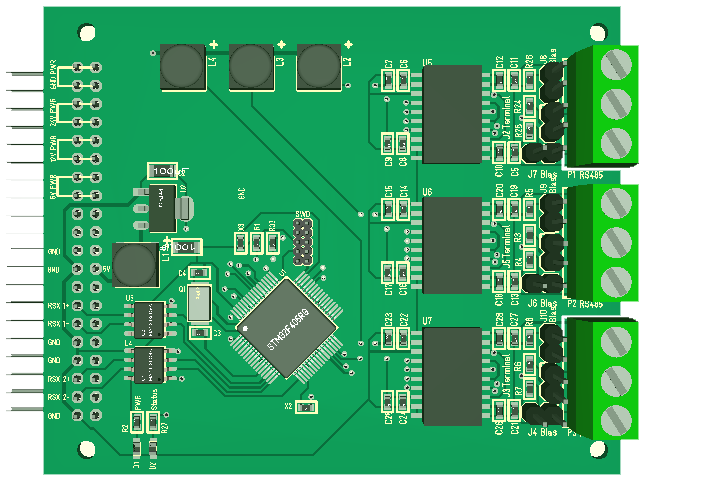 Another issue is that the screw connectors used on the RS485 board below is not really operational from front alone. 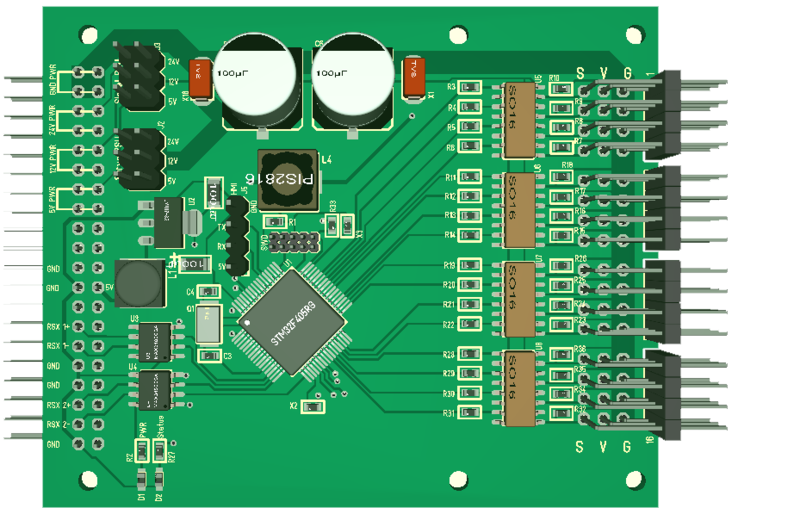 Looking at the Servo Controller I could probably add another 16 inputs of which many would be analogue. The GSM Module above can go as is. I am however considering replacing both SIM808, W5500 and Raspberry PI. 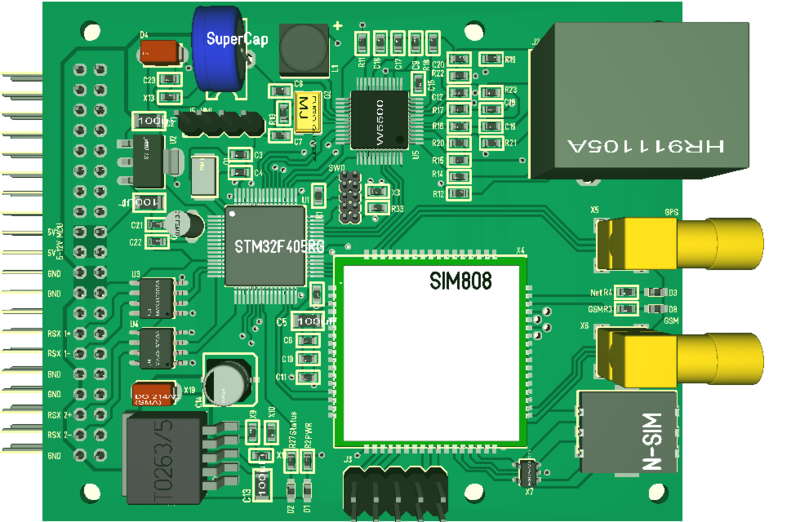 SIM808 was chosen because it has digital voice interface, but it also cost 10.- USD and occupy a lot of space. W5500 and Raspberry PI can be replaced with ESP32.